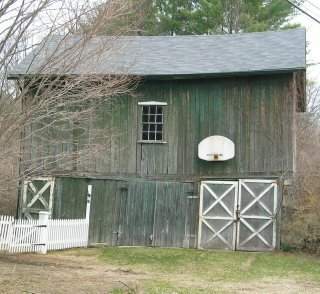 It is a pretty barn though - I love when wood is worn so old and gray like that! Interesting, the bottom half is leaning but the top half is not. The basketball hoop brings back memories of my youth. looks like it's been standing there a long time...and it'll survive a long time yet! Welcome aboard to CDP. Nice photo. I love Litchfield County - looked for a country house there for some years, including Sharon. I still pass through there all the time. My family lives in central Connecticut. Such a beautiful region and still relatively unknown, even to residents in the city and the region.